Friday Meet @ SLV 3:45pm - Athletes should be in the middle of the football field and ready to warmup by 3:15pm. 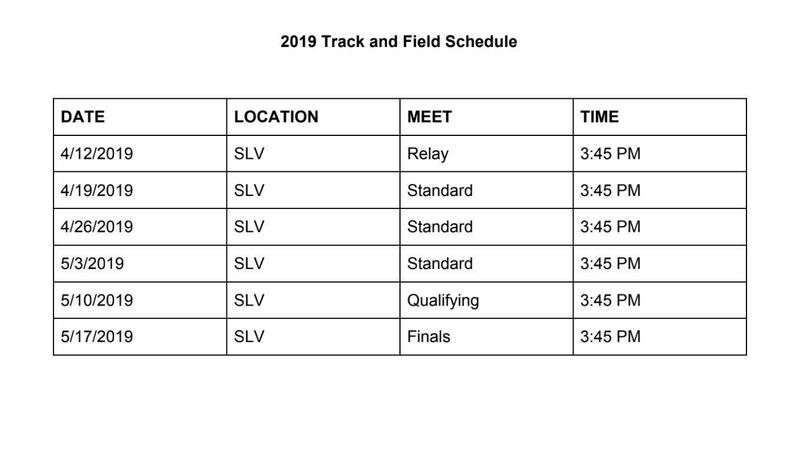 And as always, field events will open and go on during the meet (discus, shot put, long jump, high jump). Thank you to our volunteers who worked the snack bar on Friday! Please continue to sign up if you are able! And thank you to our timers! The meet could not happen without you!! For further information contact Andrea Bytheway at abytheway@slvusd.org.